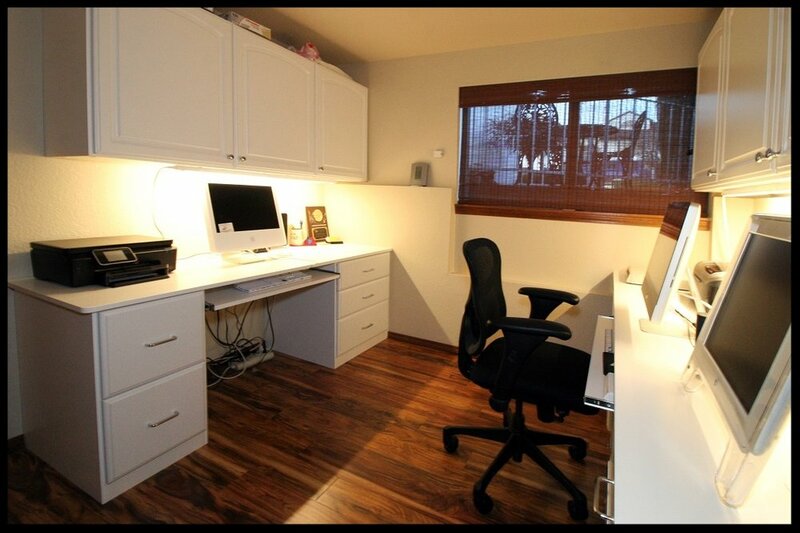 Offices — All City Closet Co.
Why go through the time and expense of buying standard desks and cabinets that don't fit when you can have them custom built for your space? 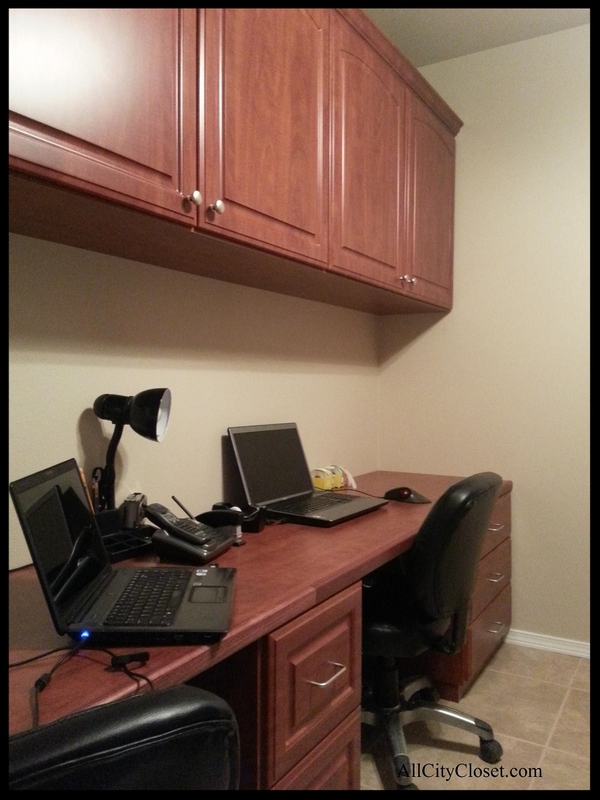 All City Closet Co. designs, builds, and installs office desks and work centers for your home or commercial office. Make it as elaborate or as simple as you want. Some optional features include file drawers of assorted styles and shapes, shallow pencil drawers, locks, keyboard trays, hidden spaces, lighting, and other special requests. Make it your own with the color or wood grain of your choice.